FLEX-WRAP™ Cohesive Bandages maintain consistent compression with non-slip support and is an excellent pressure bandage without cutting off circulation. 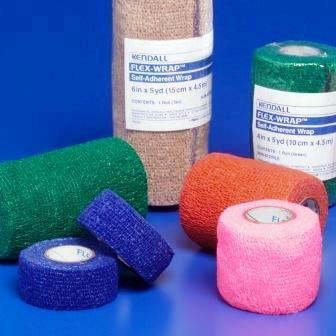 Self-adherent wraps made with a non-woven material and elastic fibers placed lengthwise provide elasticity. 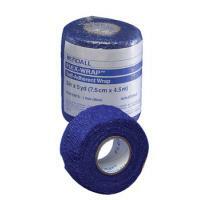 Elastic wrap contains a cohesive material allowing it to stick to itself but not to other materials or skin. 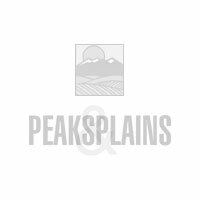 Flex-Wrap™ Cohesive Bandages maintain consistent compression with nonslip support and is an excellent pressure bandage without cutting off circulation. Adhesive- free, will not stick to hair or skin, no residue. Soft, nonconstricting, safe, will not slip and is easy to work with. 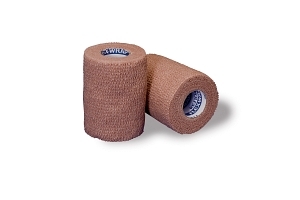 1" Flex Wrap Tapel Bandage, Tan. Sold by packages of 5 rolls.